Red Bull has today announced the opening of the Red Bull Gaming Sphere, an esports-focussed gaming space in Shoreditch, London, said to be the largest of its kind in the UK. The new venue is said to offer 'state of the art gaming technology and a packed schedule of events'. On the former point, Asus Republic of Gamers is a key sponsor, offering multiple ROG gaming PCs (specifications still to be confirmed) with peripherals and monitors to match. The Gaming Sphere will also feature PS4 Pro, Xbox One X, Nintendo Switch, and Nintendo Wii U consoles in dedicated console gaming spaces, as well as two HTC Vive-equipped racing sim setups. There are also huge viewing screens and an in-house leaderboard to provide a competitive element. 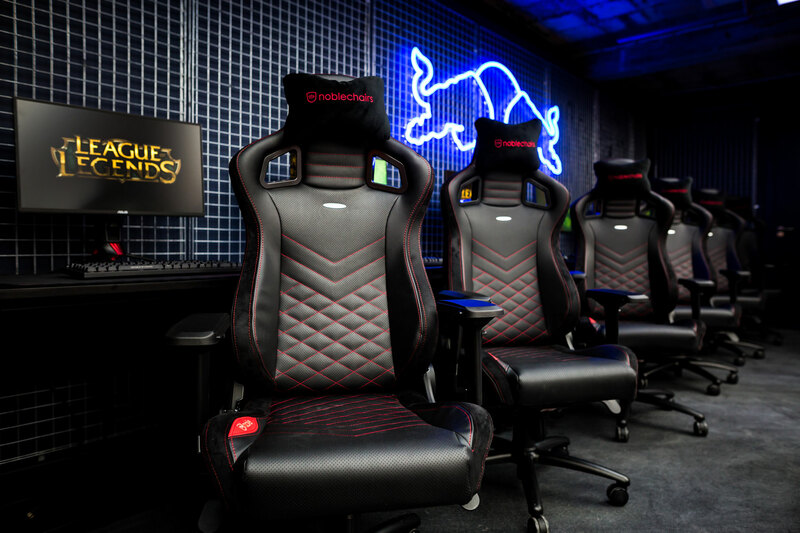 Also working in partnership with Red Bull is Noblechairs; 28 of its Epic Series gaming chairs (in ROG-appropriate black and red) will be found at various gaming stations within the venue. Regarding events, the studio is described as 'multi-purpose' and 'modular', meaning it can be rearranged with ease to suit a wide variety of gaming events. Specifics are thin on the ground, but Red Bull is promising public Friday night brawl tournaments every week. More vaguely, we're informed that tournaments, community events, and workshops and one-on-one activities with esports professionals will all make up the roster of events with a key aim being to help grow and develop the UK esports scene. The Red Bull Gaming Sphere comes hot on the heels of the Tokyo Gaming Sphere launched in Japan last month. The London venue will open with a launch event on a date still to be confirmed. More information is available on the official website.